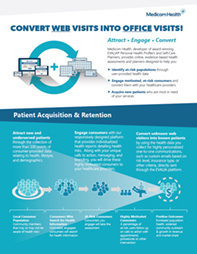 Medicom Health will be exhibiting at the Health Care Internet Conference (HCIC) in Scottsdale, AZ, November 5-7, 2018. Stop by booth #56 to learn about our new v3 health assessments and self-care planners. Note from Tony: I’ll be hosting one of the roundtable discussions, “Using Consumer Provided Data for Personalized Nurturing,” at the luncheon on Tuesday, November 6 in the Herberger Ballroom (lower level) at 12:30 PM (Table 31). The luncheon is informal and open to all attendees of HCIC. It will be on a first come basis so there will be no assigned seating or extra pre-registration for this event. I would love to see some client faces at the table. Also, we have a new 27″ touchscreen and several iPads in the booth to show off the v3 assessments. 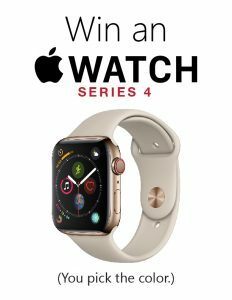 Complete an HRA in the booth to enter a drawing for an Apple Watch series 4!